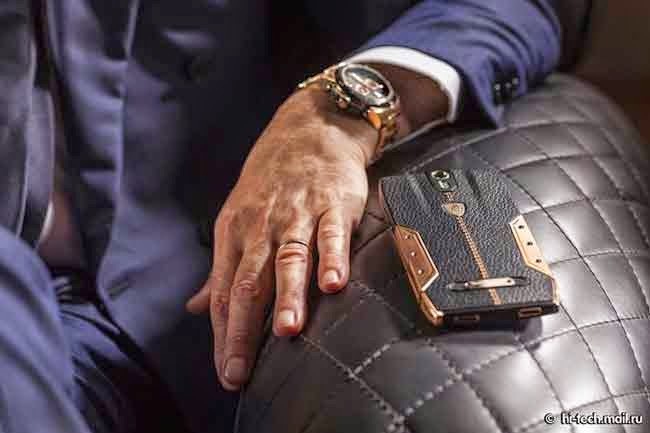 Tonino Lamborghini 88 Tauri, Italian sport scar manufacturer’ s very own smartphone is a not like the regular smartphones one can see in any cell shop around the country. While many use iPhone 6 to show their status symbol in the society, they might find the newest iPhone’s price just the tip of the huge chunk needed to buy Tonino Lamborghini 88 Tauri as it costs $6000 a piece or a little more than Php267,000. Powered by 2.3GHz quad-core Qualcomm Snapdragon 801 processor and running with Android 4.4, not to mention the 3GB RAM, Tonino Lamborghini 88 Tauri sure is fast like any Lamborghini products. Its 5-inch full HD display is protected by Gorilla Glass 3 that will surely make many envious. The promising 20-megapixel rear camera makes it unnecessary to bring a digital camera while the 8-megapixel front camera makes it fascinating to make selfie, groufie or video calls. Tonino Lamborghini 88 Tauri, has a 64GB of storage and armed with the power of 3200mAh battery that will surely outlast most f not all of the smartphones. It has Dual-SIM accompanied by Dual-LTE which mean that you can set up and use the LTE of both sim cards unlike the other smartphone that you can only set up an LTE to only one SIM card. As for the connectivity, of course it has WiFi, Bluetooth, GPS. Tonino Lamborghibi 88 Tauri’s material will also not fail to outrace the other smartphones. It os a stylish smartphone made with steel and leather. It is seemed to be designed to resemble the familiar built of Lamborghini’s classic sports cars. There will be only 1947 units of Tonino Lamborghibi 88 Tauri that will be sold around the globe. The number of unit is the same year Tonio Lamborghini was born. With $6000 as its price, it won’t be a smartphone that you will see everyday.